Did you read Part 1? 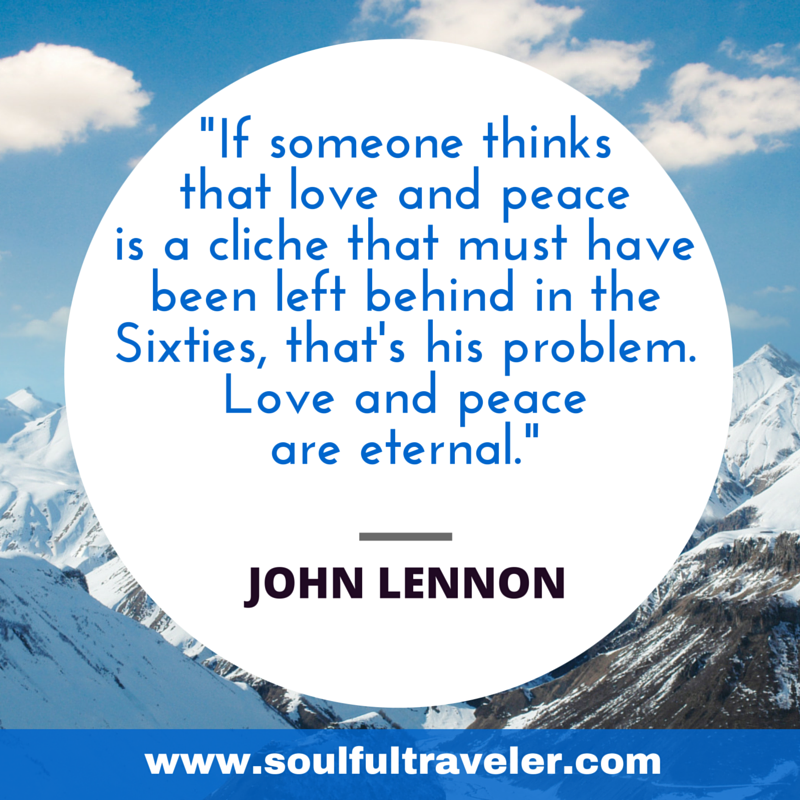 If you missed it, read it here on my Soulful Traveler blog. On Remembrance Day last week, John Lennon decided to pop into my place for a chat with me. That chat left me with many questions and so I decided to go back that very same day and interview John again. He answered my questions, brought up even more questions, and blew my mind, even more than our first chat. He shared his thoughts with me about Remembrance Day, Veterans, War, Peace, The Light, Heaven, and what he has been up to on the Other Side, Jesus, and lots more. He also gave me a very personal message for myself that made me very emotional. And he gave me a message for the world, which was very timely, as you will see. I was busy writing up my articles about both my conversations with John, when the news about the terrorist attacks on Paris hit the news. When I read the very first report about Paris, I had an overwhelming clairsentient moment. One of my strongest clairs as a Psychic Medium is clairsentience. Clairsentience is the feeling sense, where you pick up emotions, feelings, and energies from Spirit. My clairsentience was what eventually made me realize that I was a Medium. You can read about that moment here. This is part of my clairsentient experience: When my spirit guides give me a head’s up that they are around, I get goosebumps on different parts of my body. When I read the Paris report, I felt goosebumps FROM HEAD TO TOE. I have rarely ever felt such a strong HELLO! from the Other Side. This meant there was something IMPORTANT that they wanted me to pay attention to. Something about Paris was significant. And I soon found out just what that was. I had already thought it seemed like an amazing synchronicity that John & I had talked about World Peace the same week terrorist attacks hit France, Lebanon, Syria and other parts of the world, and thought to interview John about the latest terrorist attacks and what he thought about them. But then I re-read my notes from my SECOND chat with John – and realized I ALREADY HAD THE ANSWERS from John. What he told me seemed to be a foreshadowing of Paris and everywhere else. When I realized the impact of what he told me, I just could not sleep. I was too excited and full of emotions and feelings about what he shared with me. After my first chat with John, I had done some research and prepared some questions, some of which I shared in the Part 1 of my John Lennon series. 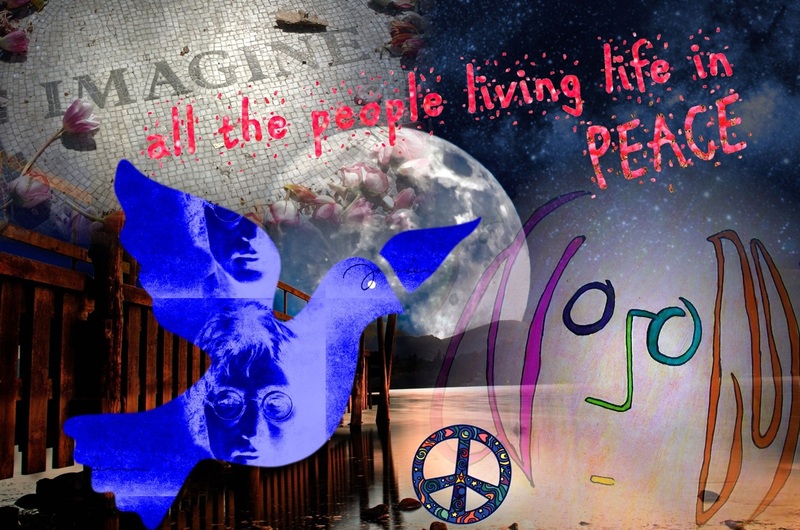 One thing I found jarring in my research about John Lennon’s song, “Give Peace A Chance”, was that on the internet many sources called it a famous “Anti-War” song, often used in protests against wars around the world. Anti-War? That didn’t feel right to me. John told me he was all about Peace, and if you look at his legacy, he spoke a lot about Peace all the time, during his life on Earth. What is the difference between being Pro-Peace and Anti-War? There is a whole UNIVERSE of difference. In my own world and in my own personal philosophy, I am never “anti” something negative, but choose consciously to be “pro” something positive. This is what it means to be living & consciously choosing to be in a Higher Vibration all the time. 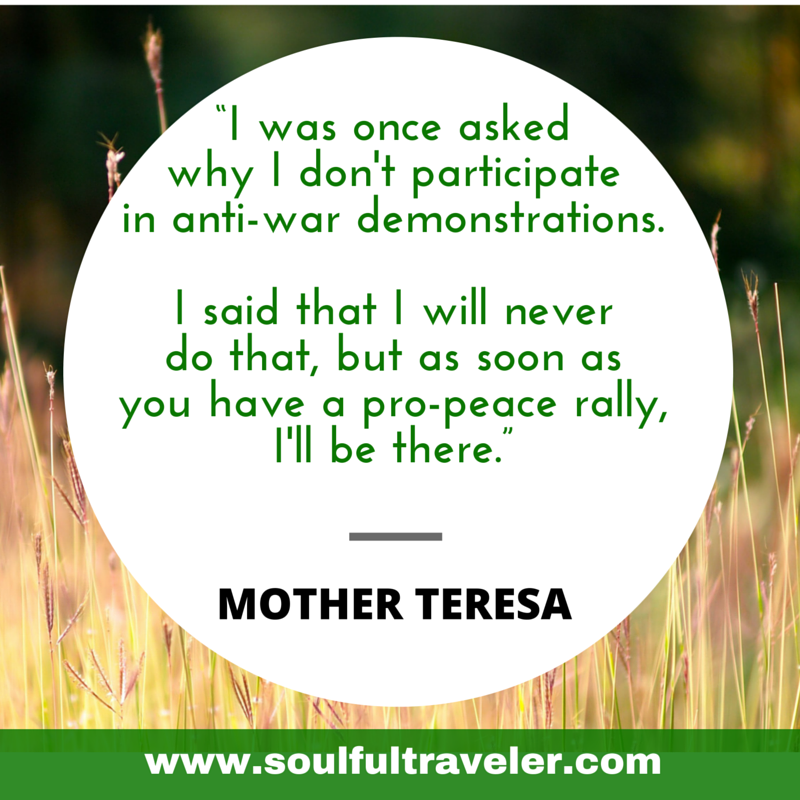 And when I talked to John Lennon, I felt he was also more “Pro-Peace” and not “Anti-War”, for the same reasons. I decided to add the “Anti-War” question to my list of questions – and he gave me a very clear answer on that. My other questions included asking him about why he was wearing a khaki army jacket when he came to me, why visit me on Remembrance Day, what was his full message about Peace and the Light? What was that about? And what was he up to now on the Other Side? So I got ready to connect with him, and opened a channel with John Lennon. And without further ado, here is my much-anticipated interview with him. Once again, I suddenly saw a very sharp image of a man clairvoyantly in my mind. He had the same shaggy medium length brown hair, was wearing a khaki-coloured army jacket, with those iconic small glasses. Our conversation took place telepathically in my mind, using clairaudience (hearing in my mind), clairvoyance (seeing images in my mind), claircognizance (information & data being downloaded in my mind), clairgustance & clairalience (tasting & smelling within my mind) and with clairsentience (feeling emotions, feelings & energy in my mind). It was truly a clairextravaganza! Me: John, are you there? Me: Thank you for connecting with me today. Me: So why did you decide to visit me today (on Remembrance day), John? John: I liked what you had to say, what you said about peace and wishing for world peace, and liked your energy. Me: What is your message? John: It’s about Peace, and promoting Peace. That’s cool. Me: John, are you Anti-War? John: No. I have respect for Veterans. I have respect for all humans. Love all my brothers and sisters. Me: Why did you wear the army jacket when visiting me? John: Why not? I respect the day (Remembrance Day). I respect the sacrifice. I honour the man who gave me this. John touches his jacket with a hand, as he says he honoured the man. Me: Why did you come to me on Remembrance Day? John: Because I heard you, heard your prayer (for world peace). Me: Why me? Why did you visit *me*? From the expression, I knew that John was asking me for a cup of tea. I did not know at that time that John Lennon drank tea. A few days later, I discovered that John Lennon did in fact drink tea and had a very particular way of drinking it. Read this article from Yoko Ono, explaining how John liked his tea. 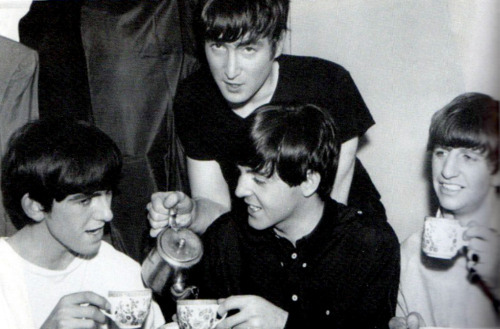 John Lennon pouring tea for the rest of The Beatles. In my mind, I see an image of myself pouring some tea from a teapot, into a couple of tea cups with saucers, pouring first for John, and then myself. Then I slide a plate of chocolate biscuits towards John. I taste and smell the tea in my mind. Me: Cheers. What was it that you had told me about Peace & the Light, John? John: Oh yeah, the Light is all there is, it’s all that matters. The rest is extra bits, not important. Me: Are you in The Light? Me: What does it feel like, being in The Light? John: It’s swell. Glorious. Like taking the best bath ever. A really good soak. Me: What do you do in The Light? Image of John playing an acoustic guitar, bent over it, fiddling with it as he is sitting down, in my mind. John: Yeah, music’s still my passion. Jam with Jimi & the boys. Me: You mean Jimi Hendrix? Image appears in my mind of Jimi Hendrix lying down, with eyes closed, and a blissful expression on his face. He’s floating in mid air under a huge purple sky. John: He’s thinking! (He laughs.) We hang out. I hang out with other people too. The name Beethoven appears in my mind through Claircognizance. Me: You hang out with Beethoven too? John: Oh yeah, we mix it all up. Einstein. Socrates. Newton. Sudden image of giraffes running appears in my mind, then disappears. John: Music and physics. Yeah they go well together. Quantum Physics. Quantum Music. Me: Are you in Heaven? John: Sure. I can do anything here. John snaps his fingers. A white rose appears, floating in mid air. He smells it and smiles and then the rose disappears. John: Oh and yeah, Jesus is cool. We talk. I’m amazed that John brought up Jesus. Me: What does Jesus think about what you said about him, when you walked the Earth? Me: What do you talk to Jesus about? John: Water into wine, kind of thing. Image appears in my mind of John Lennon and Jesus smoking together, sitting down somewhere. Me: Do you see George (Harrison)? Is he there? John was teasing me about my 6th grade crush on George and The Beatles, that I mentioned in Part 1. Me: What’s George up to? Image appears in my mind, of George Harrison surrounded by yogis in a circle. They float in the air. A Golden Buddha appears, has right hand up with 3 fingers, like the Hierophant card in the tarot deck. Me: What have you learned on the Other Side? John: Not to be so serious. It’s all a lark. It’s glorious. I miss Yoko though. Me: What else have you learned? Image in my mind of John Lennon walking towards me. He places a hand on my right shoulder. And then he gives me a hug. I am completely overwhelmed with emotion and my eyes tear up, as I cry. John: Come here. You’re on the right track, luv. Keep praying. Keep being in The Light. We’ll hang out when you get here. You’ll like it. John: I understand. OK stop wondering why I popped in! (Yes, I was just thinking it, but didn’t mention this to him – he read my mind.) You’re cool, you know. Me: OK! (I laugh.) What else do you want to share with me & my audience, John? John: Bombs are not important. The earth is important. 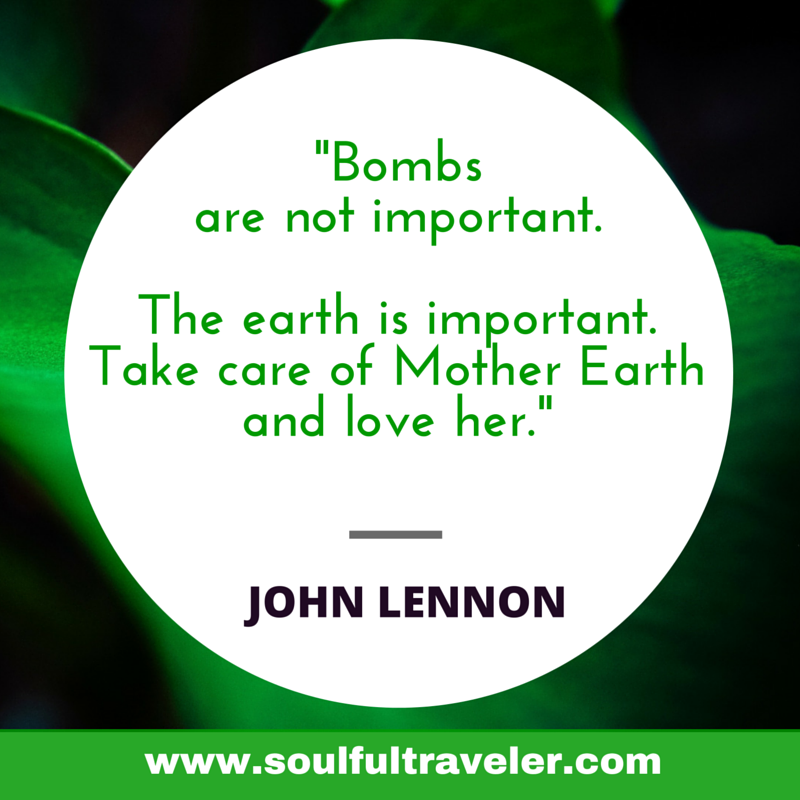 Take care of Mother Earth – and love her. Don’t worry. Be happy. Everything else will sort itself out. Peace out. John smiles as he does the Peace sign with two fingers. He waves at me and then walks away. John: Be seeing you, sweetheart. And then John was gone. After I finished writing up my interview with John Lennon, I discovered that Julian Lennon, John’s son, had started a special charity in his father’s name, called The White Feather Foundation. His father had told Julian that if he passed away, he would send a white feather on Julian’s path, as a sign from him. Julian named the charity he founded after the white feather he did indeed receive in a very special way. We embrace environmental and humanitarian issues and in conjunction with partners from around the world we help to raise funds for the betterment of all life. With John’s parting words about Mother Earth to me, he would indeed be pleased with his son’s work. Read Part 1, of my Remembrance Day chat with John Lennon, in case you missed it. P.S. Want to be the first to read articles such as this one? My newsletter subscribers got a sneak peek of this article days before the general public. Subscribe & get other special offerings before anyone else. Such a sweet Light worker himself….I really, really enjoyed this article…. Amazing chat. You are truly blessed to have had that experience.